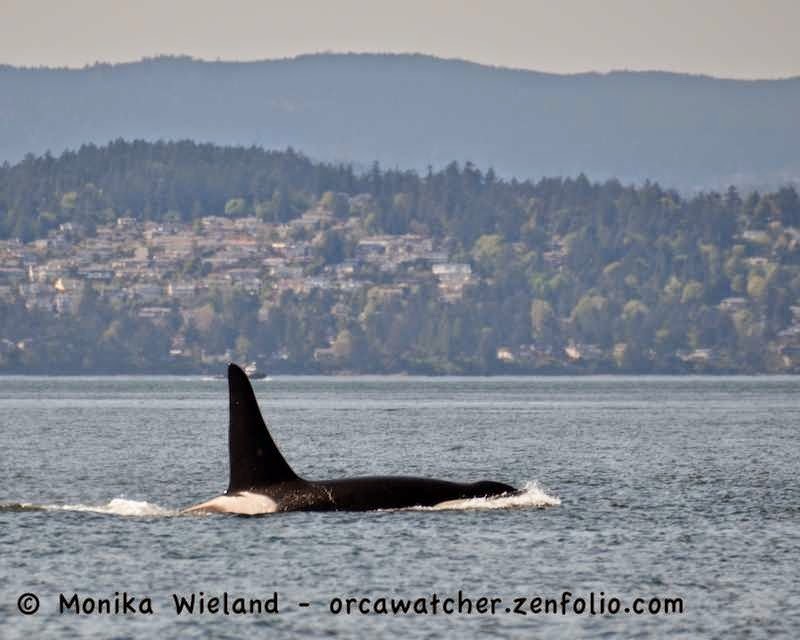 Orca Watcher: April 19th: J-Pod and Playful Dall's! 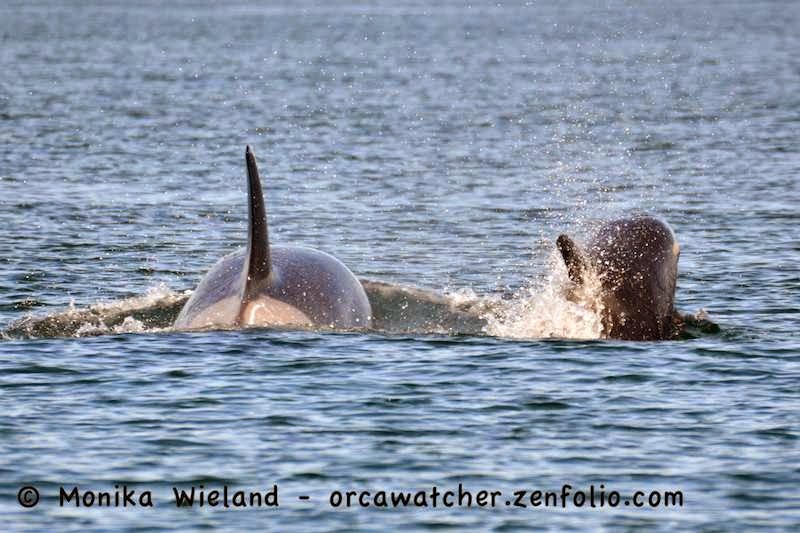 April 19th: J-Pod and Playful Dall's! 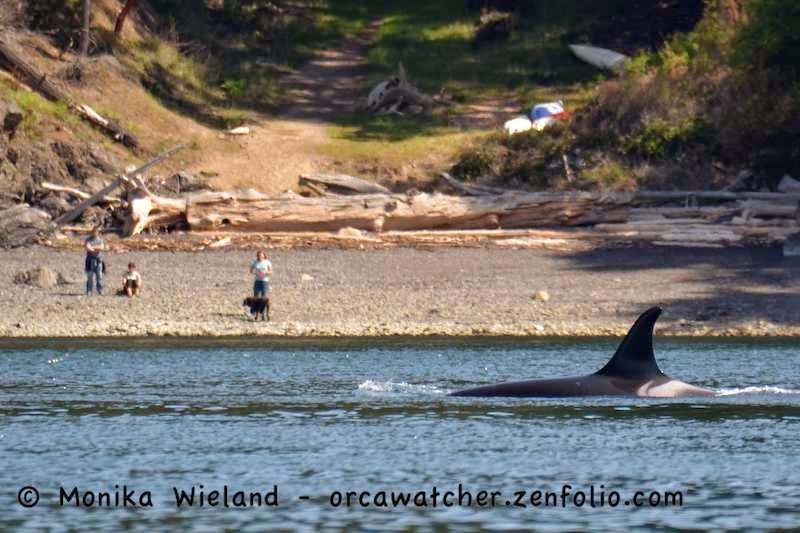 On the morning of April 19th, still riding the high of the amazing transient killer whale encounter from the night before, I heard that J-Pod was on the west side hydrophones! By the time I heard about it, I thought I had probably missed seeing them from Lime Kiln, so I headed for our boat Serenity. Turns out the whales were super spread out and moving very slowly, so some were still south of Lime Kiln, but we met up with the J19s north of the lighthouse near County Park. 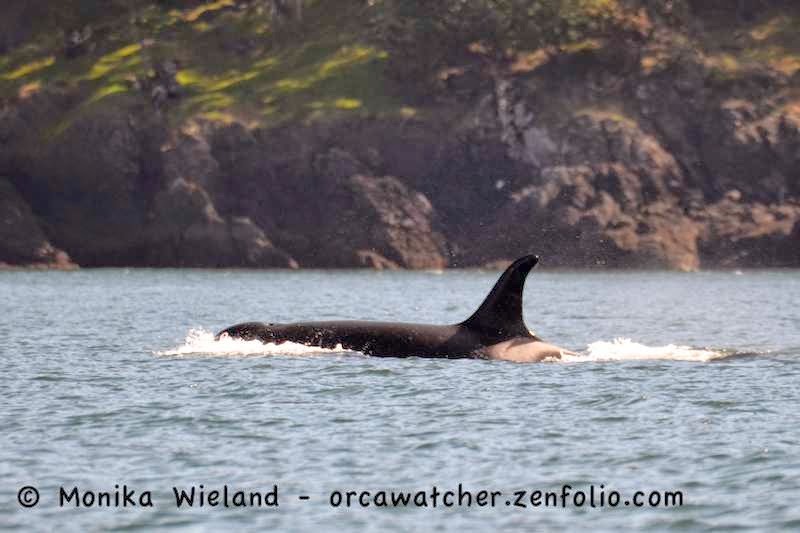 When J51 was first seen on February 12th, it looked like J19 Shachi, at age 36, was the mother. Amazingly, as the Center for Whale Research has had more encounters with the whales since then, they have identified Shachi's not quite 10 year-old daughter as the mom - making J41 Eclipse the youngest ever documented mother in the Southern Residents (she'll be 10 at the beginning of June). The center has also determined that J51 is a male. Eclipse is my favorite whale, in part because I had an amazing encounter with her right after she was born, so it's exciting for me to see her become a mom herself (although I'm a nervous "auntie" because she's such a young mom!). 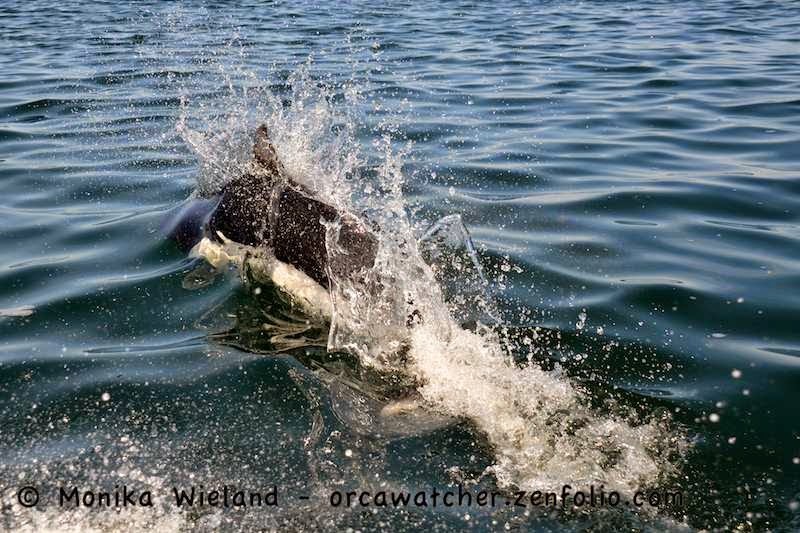 It's also special to me that I was on the water the day her first offspring was seen back in February. It was great to be able to spend some quality time with this little family of three on this Sunday morning. We could see some other whales towards the other side of Haro, so we started heading out that way when we saw Jim Maya aboard the Peregrine had some bow-riding Dall's porpoise. He was nice enough to "share" them with us, and we had them briefly bow-riding on Serenity! 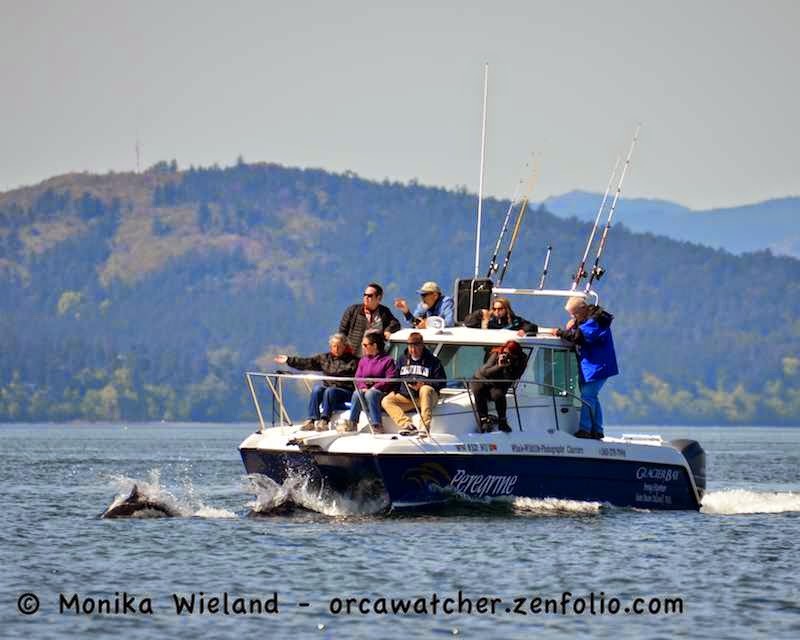 It's quite an experience to be so close to them in our low to the water boat - the porpoise are nearly half as long as the vessel! 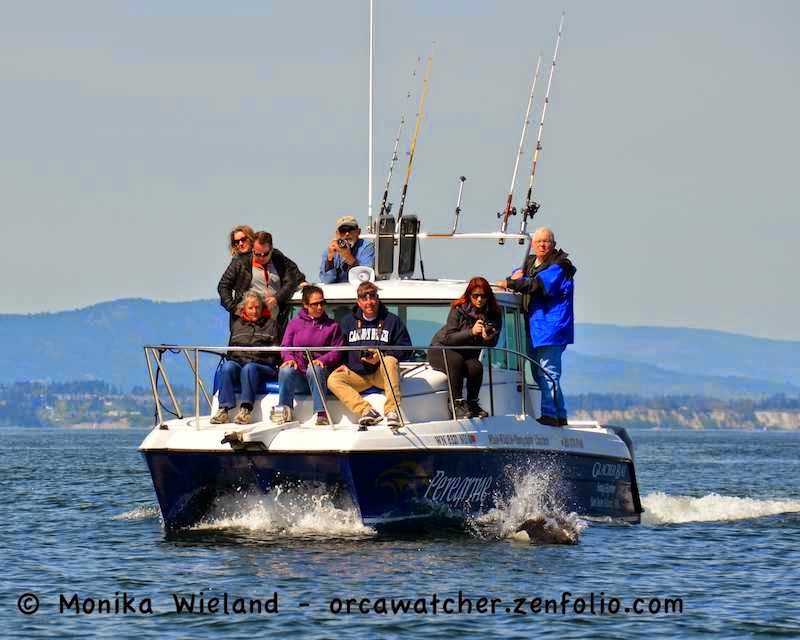 Blackberry's group was heading back across Haro towards Henry Island, where all the whales seemed to be converging. As we followed them over there, we also saw some of the J17s. 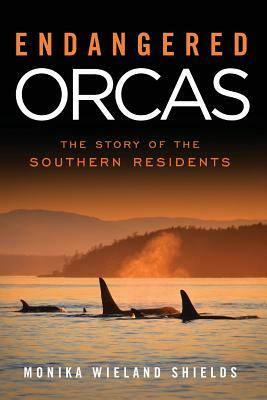 As the whales grouped out, we left them heading north and turned back to our home port. It was so great to have this encounter with Js, because the next day I would be heading off to do some lobbying on their behalf!